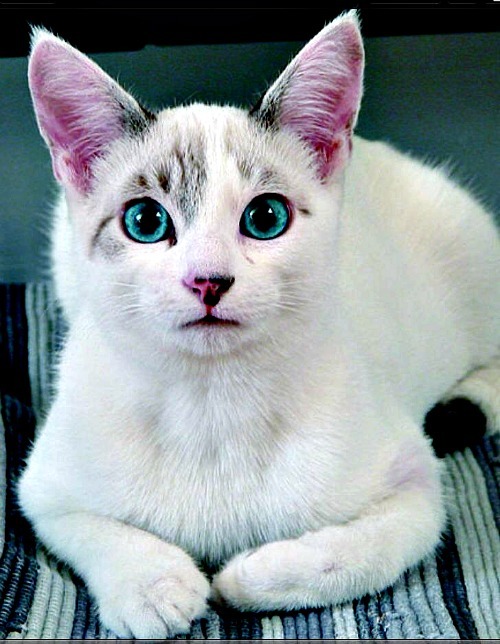 Say meow to the featured cats for September, 2013. These pictures were all contributed by visitors who want to show off their babies. Enjoy and show them some love! 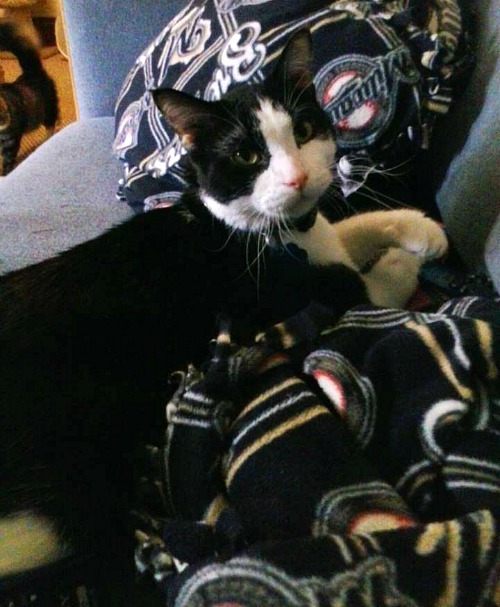 "This is my li'l man Max. He is just the sweetest cat ever. He is a year and 3 months old. I've had him since the day he was born. He is the biggest mommas boy ever. "Let me start by saying that I live with a lot of cats, about seventy. 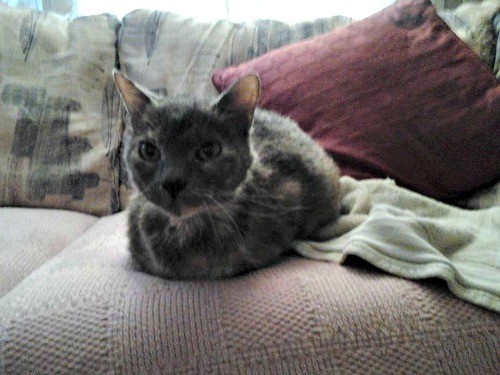 I started with one cat 15 years ago, and I have continued collecting all 'indigent' cats found on my path. Occhiblù was found 10 years ago, together with his mother (Riccia, because of curly ears) and his sister (Gigia) by a tourist family, in a high mountain abandoned stable, in very bad condition. Both kittens were FIV positive and Gigia died after two years because of intestinal cancer. My beloved Occhiblù has stayed with me for 8 years and has been an extraordinary creature: a contemplative cat that spent most of the time watching lights and shadows with his amazing blue eyes. My Occhiblù cat died in my arms on 20th August 2012, carried off by a bilateral renal cancer." "This is Cutie pie. I am the crazy cat lady in the neighborhood, feeding strays, taking them in, finding them homes, etc. Cutie showed up in my backyard in very bad shape. She had obviously been in some fights, was bleeding, skinny. Patched her up and gave her some food and she never left our yard. Long story short, I took her in to be spayed and get her shots. The vet told me she had cigarette burns all over her stomach and she was about 2 years old. She only weighed 4 lbs. She is treated like a princess now and will only know a life of love." 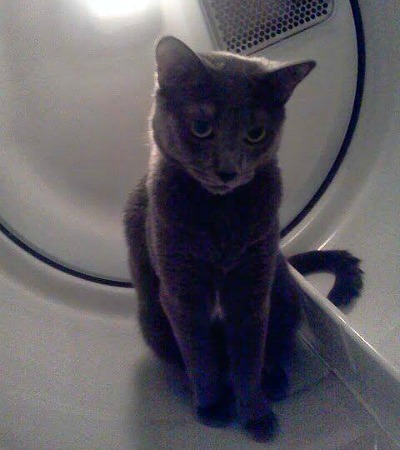 "My sister and I found Blue near to a trash can when we were going back home after college. She was less than a month old, so when we took her to the vet she said it was probably her time to die. People always stop on the streets and take pictures of Blue and I. We really love her. She is an important member of our family now. I can't imagine a single day without her cuteness and love." 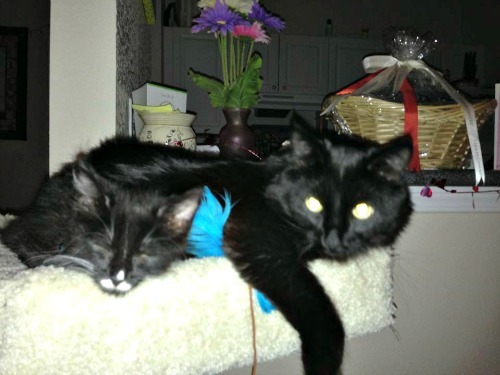 Spencer and Salem are rescues from Heritage Humane Society in Williamsburg, VA.
Mark Orelski says that Spencer is "one and loves to walk on a leash in Historic Williamsburg." He likes broccoli (I've heard of many cats that enjoy broccoli, strangely enough). He "spends his day on top of the kitty condo watching the little lizards scurry across the balcony." "Salem is just 9 weeks and eats just about EVERYTHING..."
"Loves playing with his adoptive mommy." 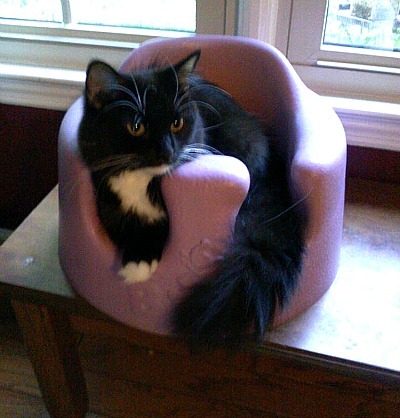 "This is Jewel she loves this baby seat." "We saved her momma and found the momma a great home. We kept her and her brother and sister. She is 7 months old, super sweet and loveable and this her favorite seat." 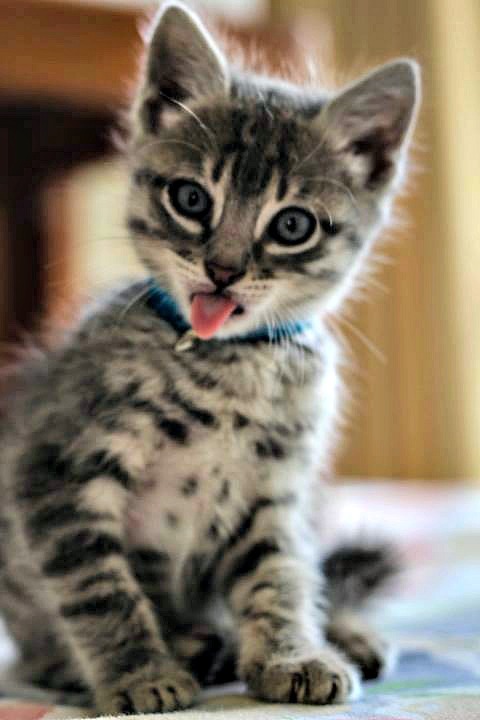 "This is my five ounce runt Gunner, found him and his litter mates abandoned at three weeks. Their eyes weren't even open... he was so teeny tiny I weighed him on a kitchen scale. Called a vet who said they would never survive and my grown kids and I began bottle feeding them, bathing, and being the mommy they needed. Today, two and a half years later... my runt weighs 19 lbs and is my big baby."